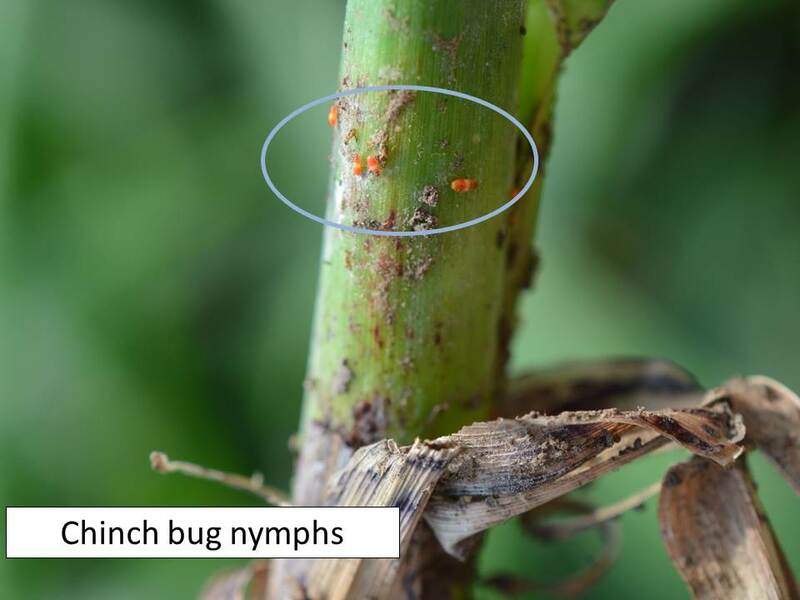 Chinch bugs are very active in double cropped sorghum in north central Kansas. They are also numerous in corn but the field corn is mature enough that chinch bug feeding should be of little consequence. However, young sorghum plants, especially under less than ideal growing conditions may be seriously stressed. Carpenter Bees have been very active all across the state for the preceding 7-10 days and the noticeable activity may continue for another week or two. These large (3/4 to 7/8 inch) black and yellow bees are most often mistaken for bumble bees. 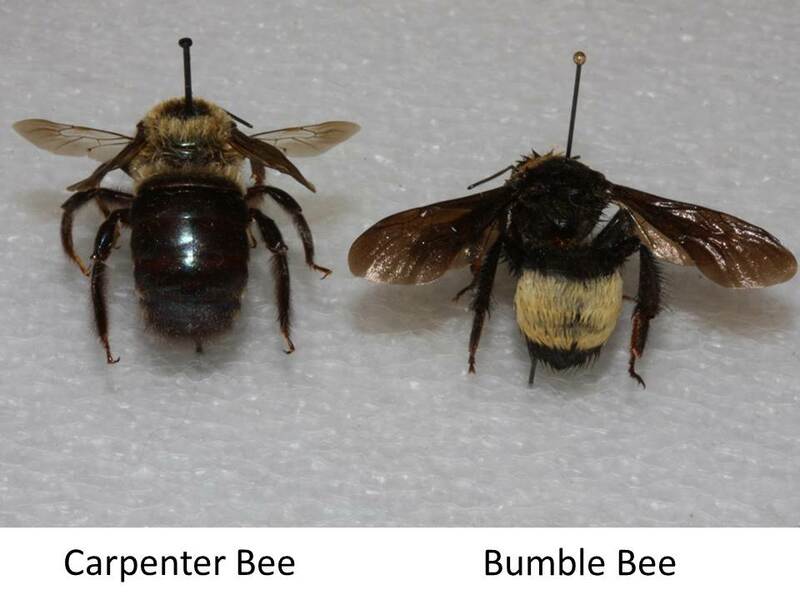 However, carpenter bees, even though around the same size and flying at about the same speed, have bare abdomens while bumble bees have hairy abdomens. Carpenter bees thus have shiny, dark blue to black abdomens while most bumble bees have hairy yellow abdomens. Most folks do not want to get close enough to any large bee to make these distinctions, and they are even more difficult to distinguish when they are flying. But, if you have large black and yellow bees hovering around any wooden structures and they are ‘dive bombing’ or buzzing around intruders into their area, i.e. you, neighbors, pets, etc. they are most likely carpenter bees. 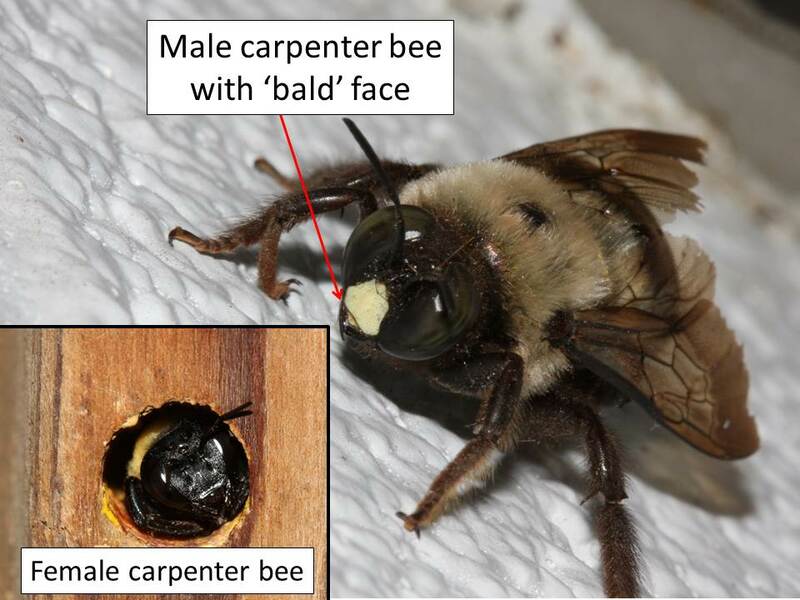 It is the males that are buzzing intruders and they can be distinguished by their ‘bald faces’ which appear to have a yellow triangle in the middle of a black face. and found in the mines of leaves. 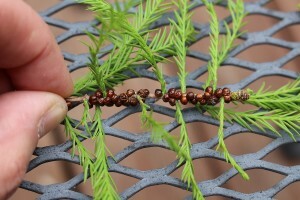 Adults are 3.0 mm in length, red-brown in color with black spots or markings on the abdomen or wing covers (Figure 2). Figure 2. Adult European elm flea weevil. since they are weevils and the hind legs are thickened and enlarged, which allows the adults to jump when disturbed. Adults are initially active in May, and after mating, females lay eggs in the large mid-veins of new leaves. 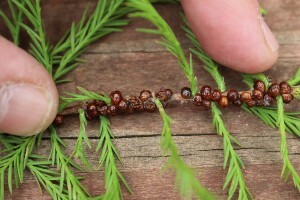 Eggs hatch into larvae that tunnel through the leaf as they feed (which is occurring now), creating serpentine-like mines that enlarge as larvae mature (Figure 4). Figure 4. 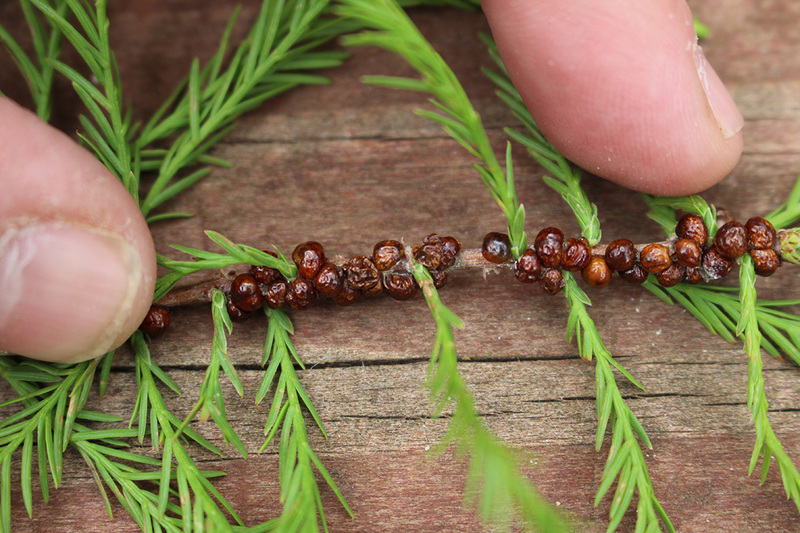 Serpentine mines created by European elm flea weevil larvae. Larvae eventually transition into a pupal stage, and then adults emerge in May and June. Adults primarily feed on leaf undersides creating small holes on young leaves (Figure 5). Figure 5. 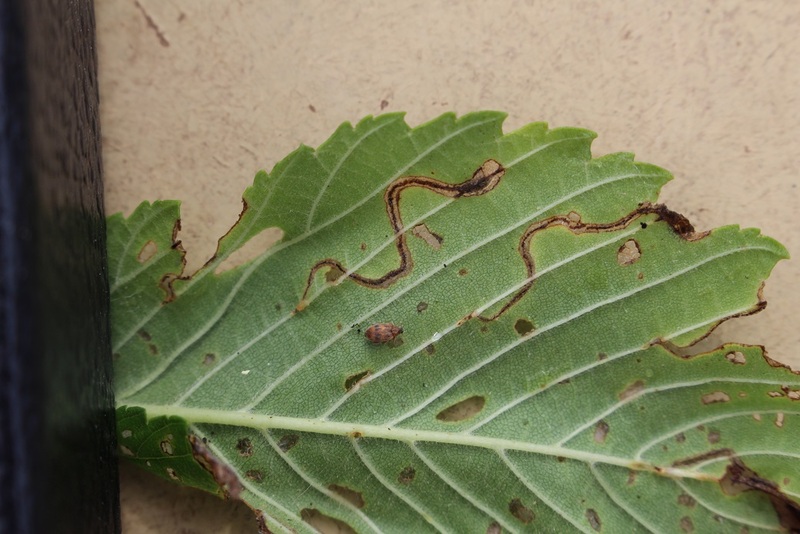 Feeding damage caused by European elm flea weevil adult. 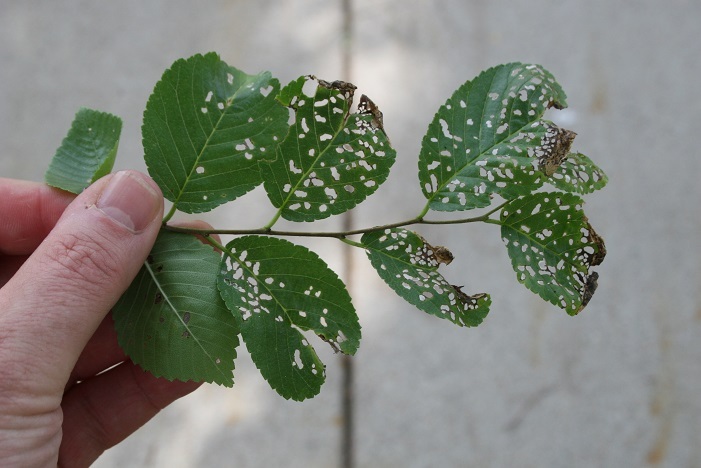 The feeding damage caused by both the larvae and adults will not kill an elm tree; however, extensive feeding may ruin the aesthetic appearance. Adults overwinter under loose bark and in leaf litter under previously infested trees. There is one generation per year in Kansas. 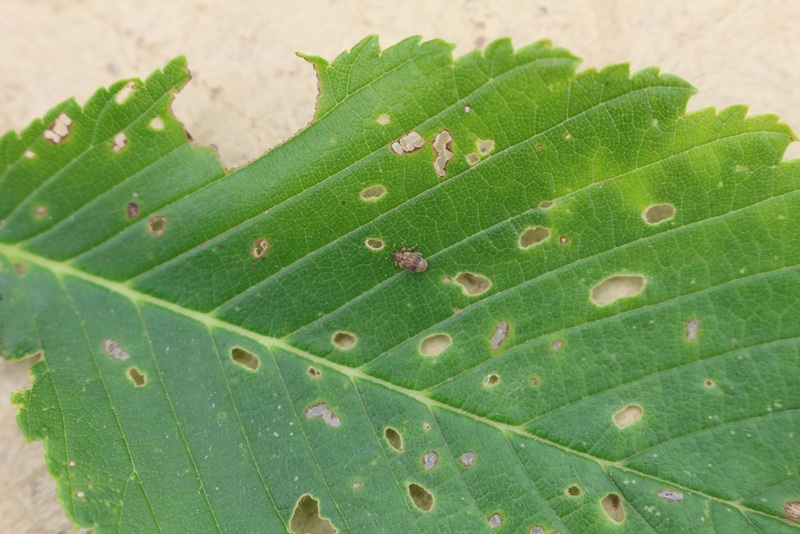 Nearly all elm species are susceptible to feeding by the European elm flea weevil especially Siberian elms (Ulmus pumila) and certain elm hybrids with Asian parentage. 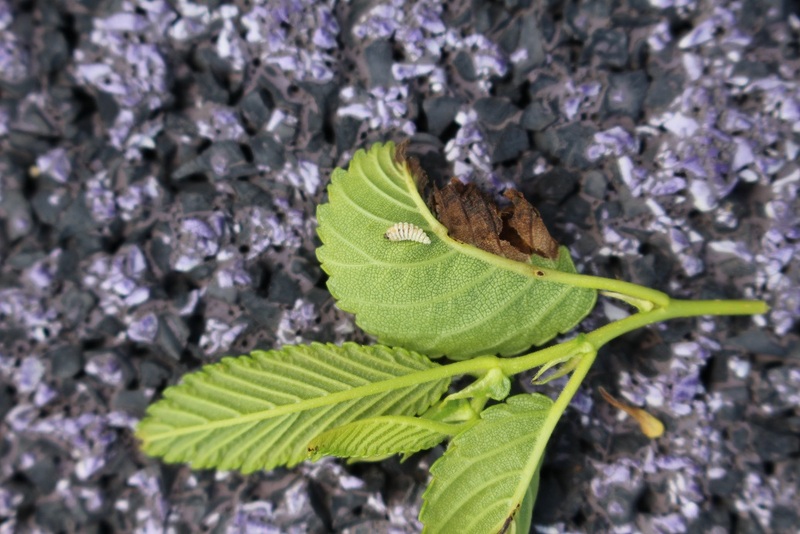 Management of European elm flea weevil involves maintaining proper tree health by means of watering, mulching, pruning, and fertilizing. Insecticides may be used to minimize damage; however, insecticides may be difficult to apply to large trees. 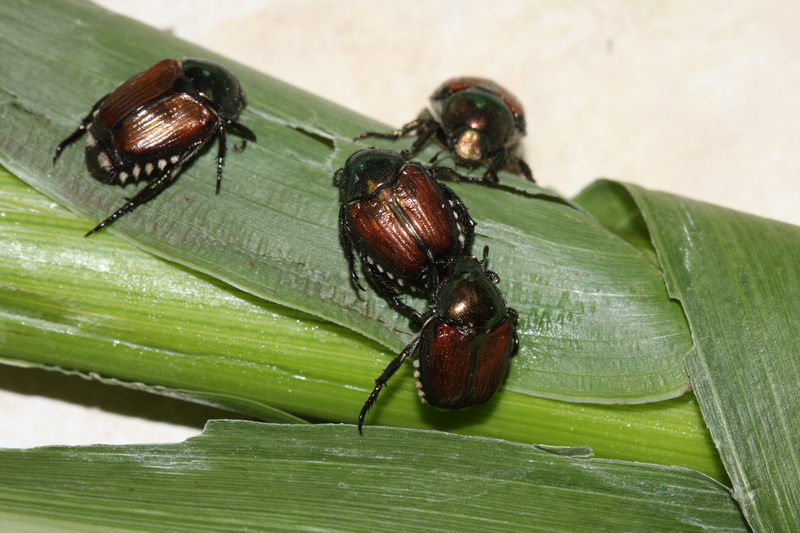 Insecticides must be applied in May and June in order to suppress adult populations. A number of insecticides may be used including: acephate (Orthene), imidacloprid (Merit), or carbaryl (Sevin). However, if damage is not extensive, especially on large trees, then there be no rationale for using insecticides. For more information regarding European elm flea weevil management contact your county or state extension specialist. The extreme heat we are experiencing throughout Kansas and the fact that plants are “stressed” due to a lack of moisture means you need to be on the look-out for the twospotted spider mite, Tetranychus urticae (Figures 1 and 2). Twospotted spider mite is a warm-weather mite because, in general, populations are active from late spring through early fall. Summer temperatures allow twospotted spider mites to reproduce rapidly, which helps them to overwhelm natural enemy populations. This article discusses the plant protection strategies that homeowners and professionals can implement in order to alleviate or avoid problems with twospotted spider mite populations. 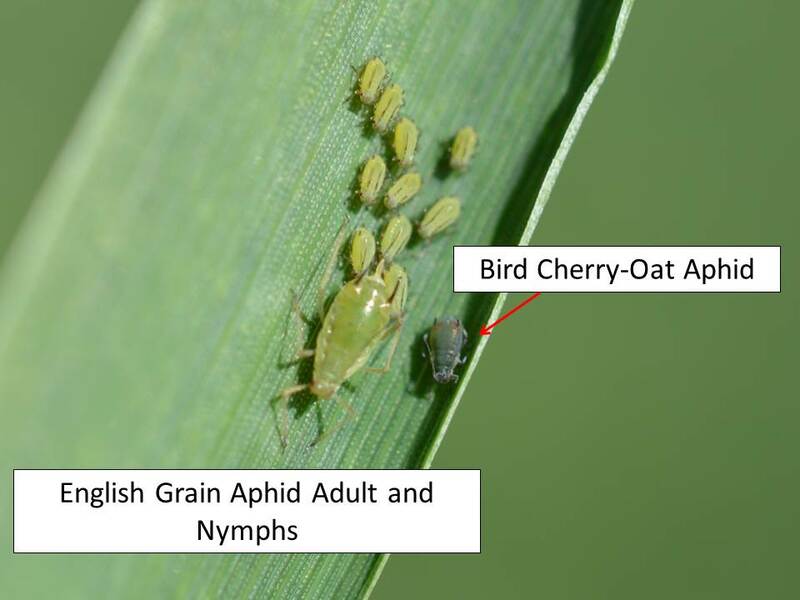 Fig 1: Twospotted spider mite adults and eggs (spherical shape objects). Fig 2: Twospotted spider mite feeding damage. Twospotted spider mite management involves maintaining plant health, implementing sanitation practices, and/or using pesticides with miticidal activity (miticides/acaricides). First of all, avoid exposing plants to any type of “stress” by maintaining proper watering, fertilizer, and mulching practices so as to reduce potential problems with twospotted spider mite populations. For example, inadequate moisture or overfertilizing plants, particularly with nitrogen-based fertilizers, can enhance development and reproduction of twospotted spider mites. Also, be sure to monitor for twospotted spider mite populations regularly by shaking branches or twigs onto a white sheet of paper, and looking for the mites crawling around. You can crush the mites on the white sheet of paper to determine if they are a pest or not. For instance, plant-feeding spider mites typically leave a green streak when crushed whereas predatory mites leave a red streak. A quick method of dealing with twospotted spider mite populations is applying a forceful water spray throughout the plant canopy at least twice per week during the season. Forceful water sprays will dislodge eggs and the motile life stages (larvae, nymphs, and adults). 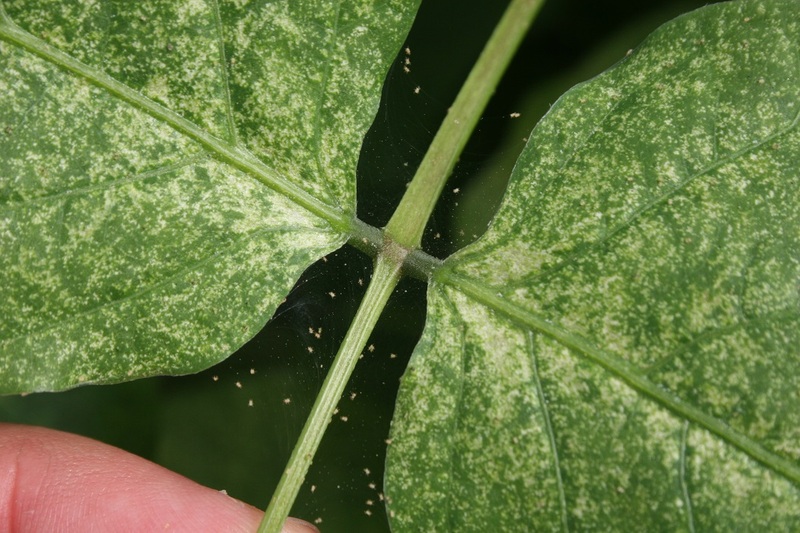 Be sure to direct forceful water sprays toward the leaf undersides where all life stages (eggs, nymphs, larvae, and adults) of the twospotted spider mite are located. The removal of plant debris and weeds eliminates alternative hosts and overwintering sites. 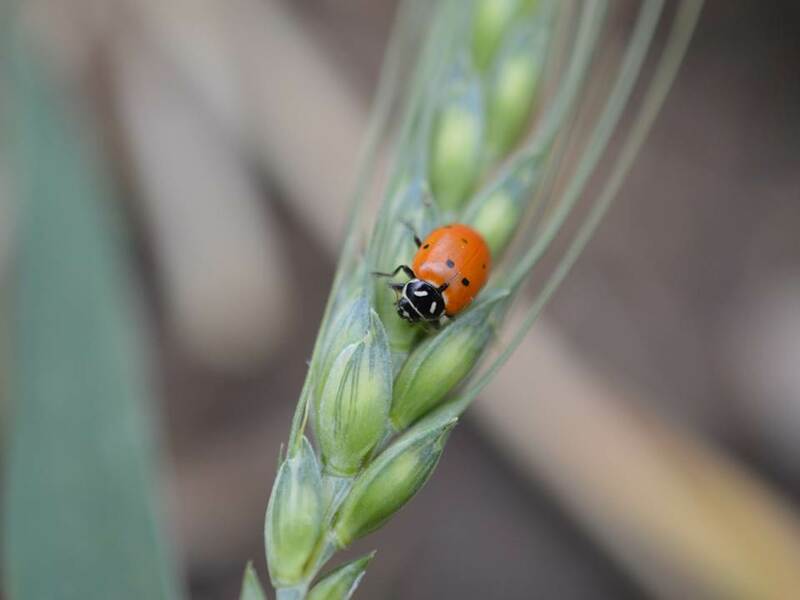 There are many pesticides with miticidal activity available to professionals for suppression of twospotted spider mite populations outdoors, including: abamectin (Avid), acequinocyl (Shuttle), bifenazate (Floramite), etoxazole (TetraSan), hexythiazox (Hexygon), potassium salts of fatty acids (M-Pede), and horticultural oils (petroleum, mineral, or neem-based). Homeowners do not have many options in regards to miticides. The only “true miticide” still available is hexakis or fenbutatin-oxide, however, this active ingredient cannot be purchased by itself as the active ingredient is usually formulated with acephate (Orthene). Always read the label and apply miticides before twospotted spider mite populations are extensive and causing aesthetic damage. Furthermore, be sure to rotate miticides with different modes of action in order to avoid twospotted spider mite populations developing resistance. If possible, try to target “hot spots” or localized infestations of twospotted spider mites, which will reduce the potential for resistance developing. Be sure to thoroughly cover all plant parts with spray applications; especially when using pesticides with contact activity. Some miticides such as abamectin (Avid) and etoxazole (TetraSan) have translaminar activity, which means that the material penetrates into leaf tissues and forms a reservoir of active ingredient within the leaf. This provides residual activity even after spray residues have dried. 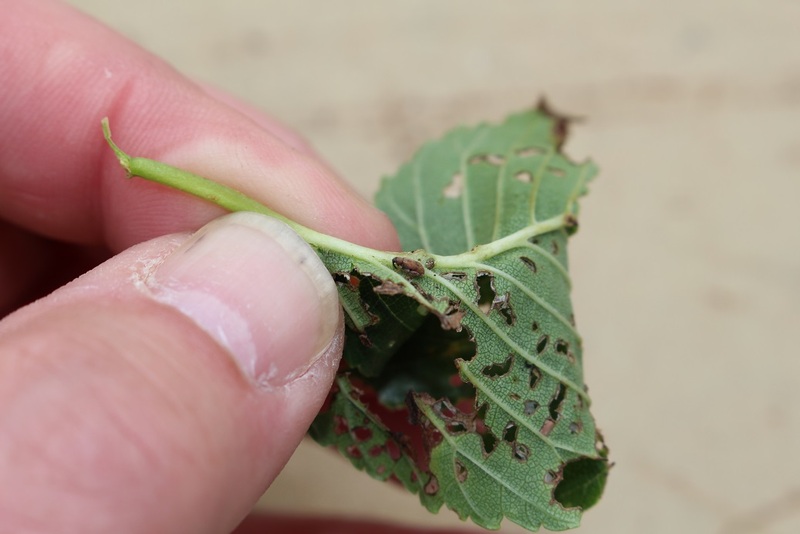 Mites that feed on leaves will ingest a lethal concentration of the active ingredient and be killed. 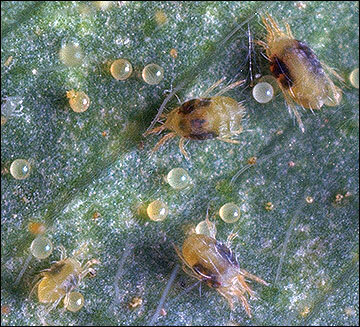 It is important to note that many pesticides used to suppress other insect pests encountered on plants in landscapes and gardens may be harmful to the natural enemies of twospotted spider mite; consequently, resulting in an inadvertent increase in twospotted spider mite populations or secondary pest outbreaks. Alfalfa weevils are still very active throughout north central Kansas. 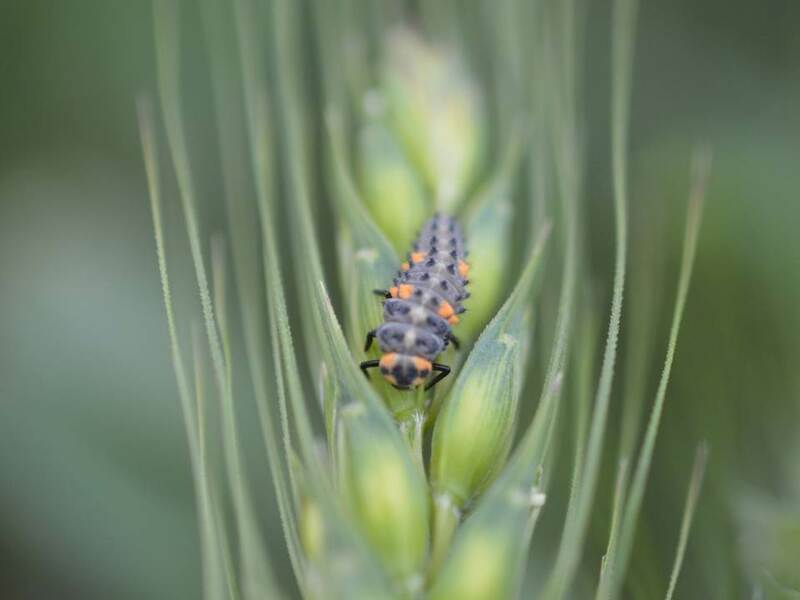 They also range in development from small 1st instar larvae to relatively mature 3rd instars. 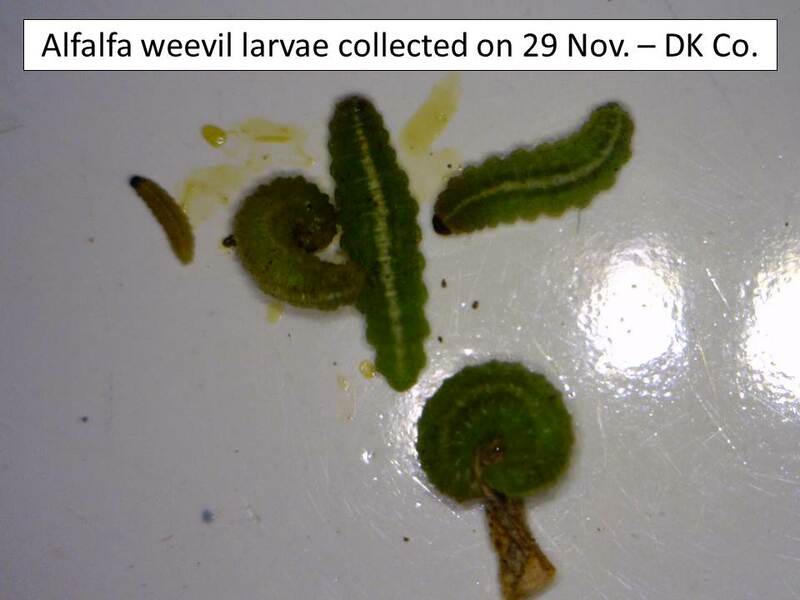 We have also had reports of pupae in south central and north central Kansas. 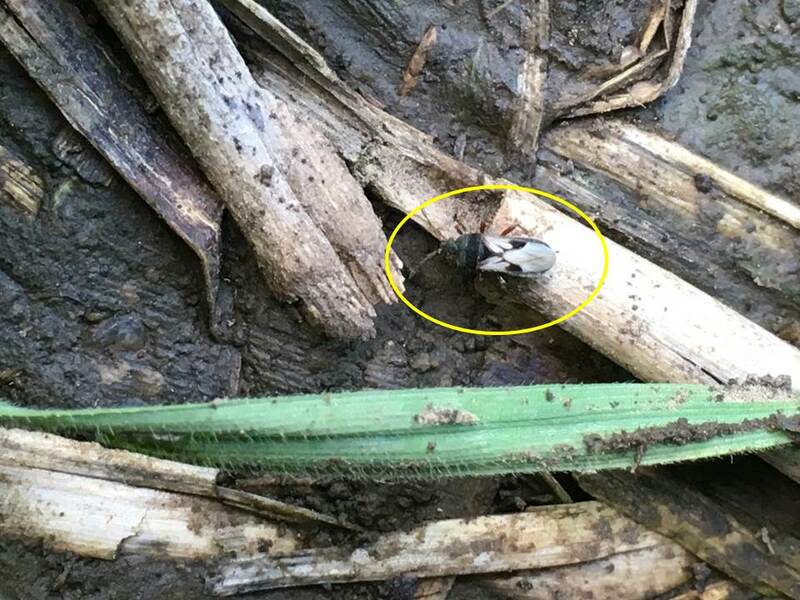 Many fields are still showing signs of freeze damage. 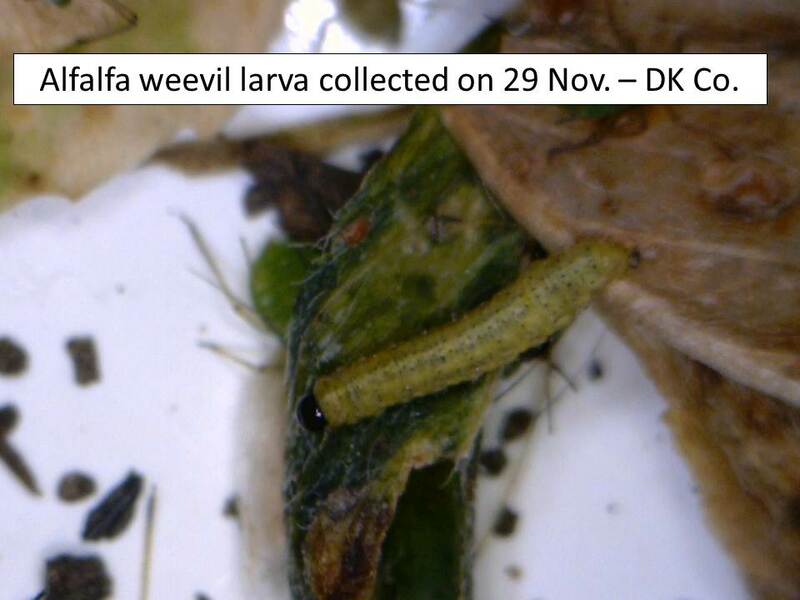 The freeze did seem to affect the weevils by slowing their development but did not kill them. 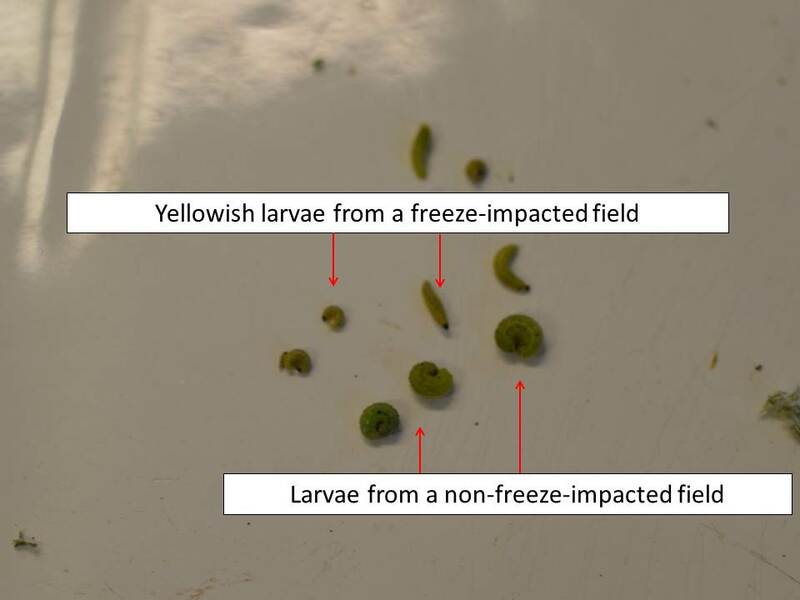 However, most larvae in freeze-damaged fields are more yellow than the usual greenish color. 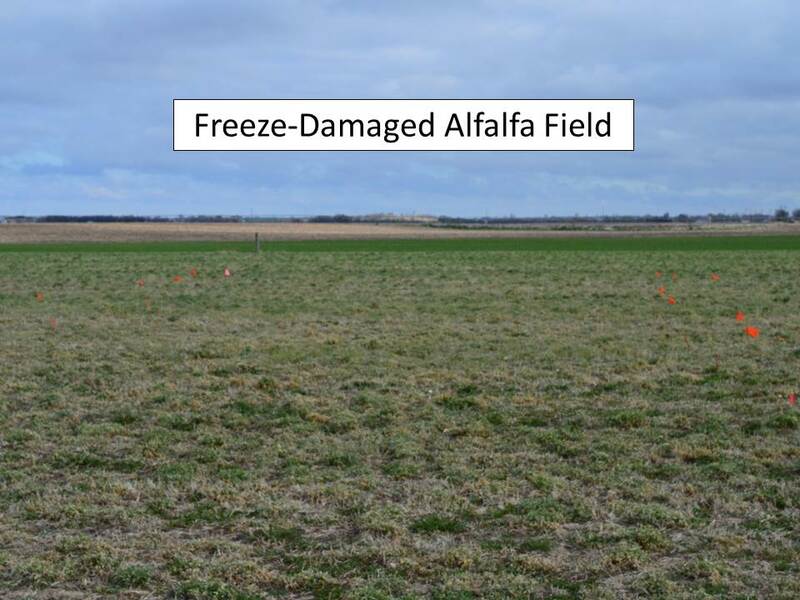 Whether that means they are getting the proper nourishment from the yellowed, freeze-damaged alfalfa tissue or not is unknown. 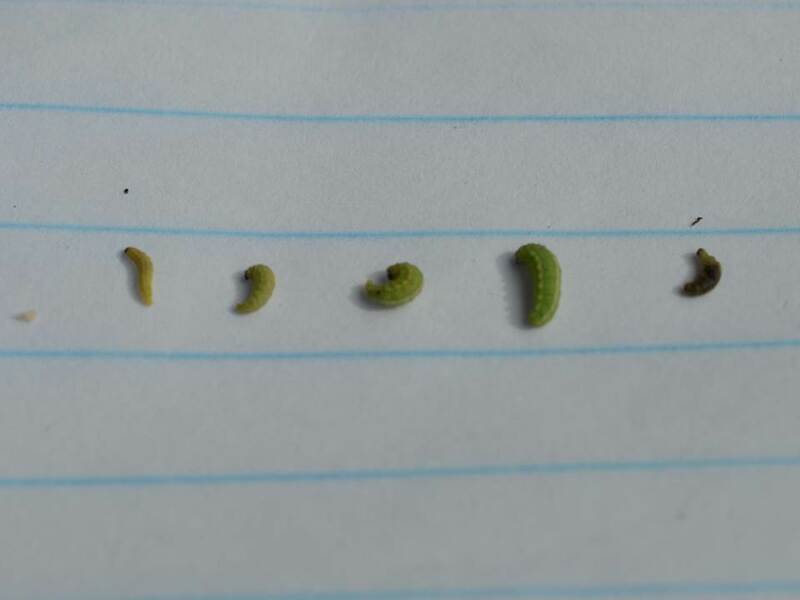 Weevil larvae in untreated, non-freeze-damaged fields seem mostly about to pupate within 7-10 days if temperatures stay between 45-80°F. 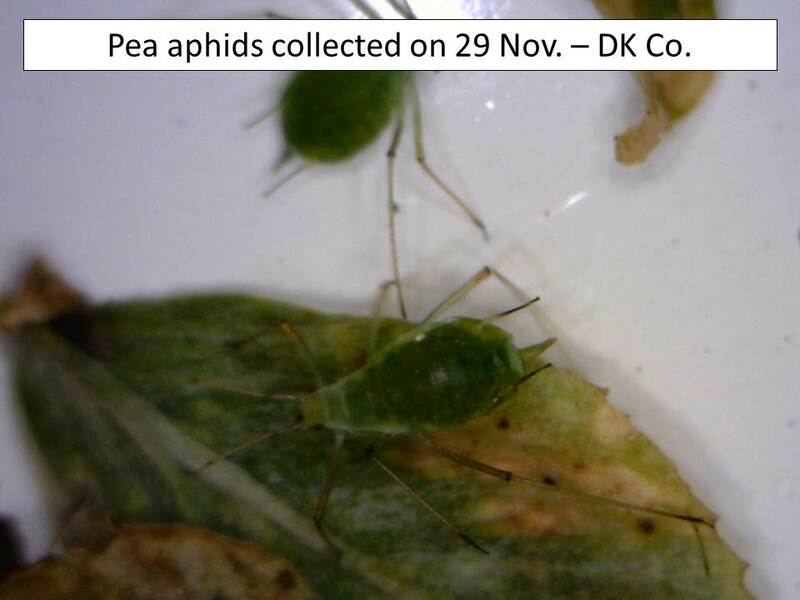 No other pests have been noted in alfalfa fields we visited over the past week.